Before you head to the diet section of Barnes & Noble and pick up a book on the hottest new fad diet, how about trying something different this spring? What if I told that you have had the secrets all along, you just have forgotten how to ask for the answer. 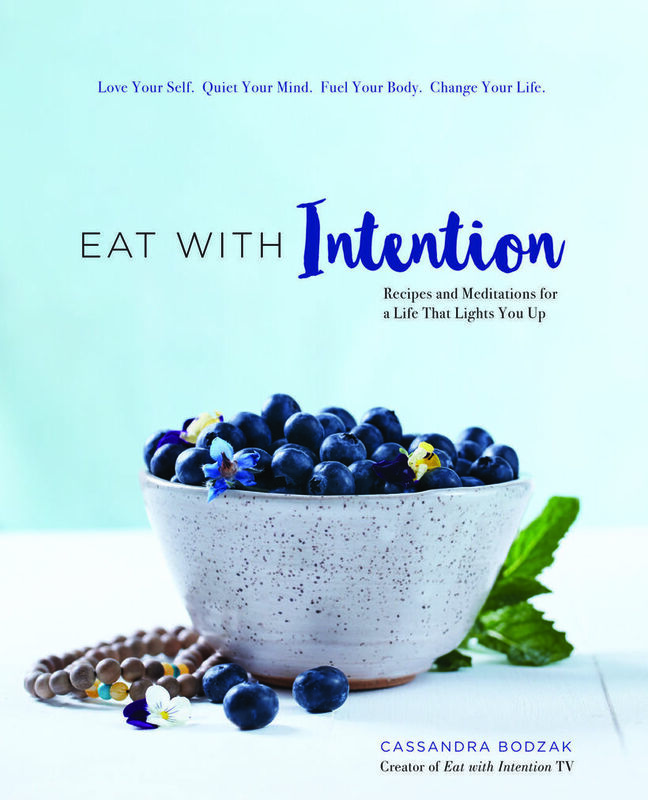 In my book, Eat with Intention: Recipe and Meditations for a Life that Lights You Up, I teach people how to reclaim their relationship with their body so they can access their inner wisdom for living their healthiest, most vibrant and happy life! The first big step to this is starting to have a conversation with your body. You can’t find out the answers if you don’t start with asking the questions. So I wanted to provide you with five juicy questions to get you started on your body-love conversation and help you get into this loving ritual for spring and beyond. First off, I highly recommend creating a sacred space to begin this conversation. Find a cozy nook, light a candle, make a cup of tea, and get a beautiful journal to jot down some notes. Once you are comfortable, begin with a meditation. My clients love to listen to my guided meditation for loving and accepting your body (you can listen to that here), but you can do whatever feels best to you to unwind and center into your inner world. When you are ready, place one hand on your heart and one hand on your navel and ask yourself the following questions. Allow whatever comes up to come up without judging it or trying to manipulate it, just let it be and feel free to journal what first comes to mind, allowing the responses to flow organically without second guessing what is coming forward. How have I been treating you? How can I take better care of you? Am I doing anything right now that’s hurting you? What foods would be most nourishing for you right now? Is there something you have been trying to tell me? Truth is, you can go on forever with questions, and I encourage you to keep asking as they naturally pop up for you. It takes practice. It’s like any relationship in life, you need to build up your connection one day at a time. Keep showing up, keep asking and most importantly, keep listening to what your body is telling you. Here is a bonus for you! A meditation from my book. Sit in easy pose. Curl your ring finger and little finger into each palm with your thumbs holding them down, with your two standing fingers held together instead of spread apart as in a peace sign. Bring in your arms so that your elbows are by your sides and your hands are by your shoulders with the two standing fingers of each hand pointing straight up. Your forearms and hands should tilt forward slightly to an angle of 30 degrees from the vertical. Press your shoulders and elbows back firmly but comfortably and keep your palms facing forward. Close your eyes and focus them on your third-eye point (the space between your eyebrows). Take slow deep breaths and mentally chant “sa ta na ma” from the third-eye point outward. This is a common Kundalini mantra that describes the cycle of life: “sa” means infinity, “ta” is life, “na” is death, and “ma” is rebirth. Start by practicing for 11 minutes, gradually building up to 31 minutes. Take a deep breath in, hold it, and then exhale and relax.